After taking on the English Civil War in This Accursed Civil War and the combined arms tactics of the Swedes and Imperials in Sweden Fights On, the Musket & Pike Battle Series looks at the French, Spanish, and Bavarian armies. The Spanish tercios face the superb French gendarmes. The stalwart Bavarians with their excellent cavalry and love of the entrenchment battle the veteran Weimarian cavalry corps. Rocroi 1643 - The debut of the young duc d'Enghien (later known as the Grand Conde). 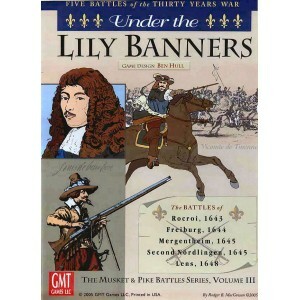 The most famous battle of the Thirty Years War that broke the power of the Spanish tercios. The French faced a larger Spanish army but the energetic Enghien refused to quit when all seemed lost and snatched victory from the jaws of defeat. Freiburg 1644 - Enghien joined forces with Turenne facing the well entrenched Bavarians. The battle raged for over three days until the French were worn down. The French declared victory then bypassed the town. A very different style of battle than any other from the period due to the terrain, style of attack, and duration. Mergentheim 1645 - The Bavarians surprised Turenne's army and inflicted a stinging blow. This is the smallest battle and is ideal as a learning scenario. Alerheim aka Second Nordlingen 1645 - Turenne, reinforced by Enghien and German Allies from Hesse-Cassel, again faced teh entrenched Bavarians. The Bavarians, reinforced by the Imperials, held two hills and the town. Enghien attacked the town and Turenne, at the head of the elite Weimarian cavalry corps, attacked the Bavarian right. The excellent cavalry commander for the Bavarians, Jean de Werth, saw Enghien's attack bog down in the town and attacked the French right, smashing it. The French were losing until the Bavarian commander, Field Marshal Franz von Mercy, fell. In the ensuing confusion, Turenne pulled out the victory. 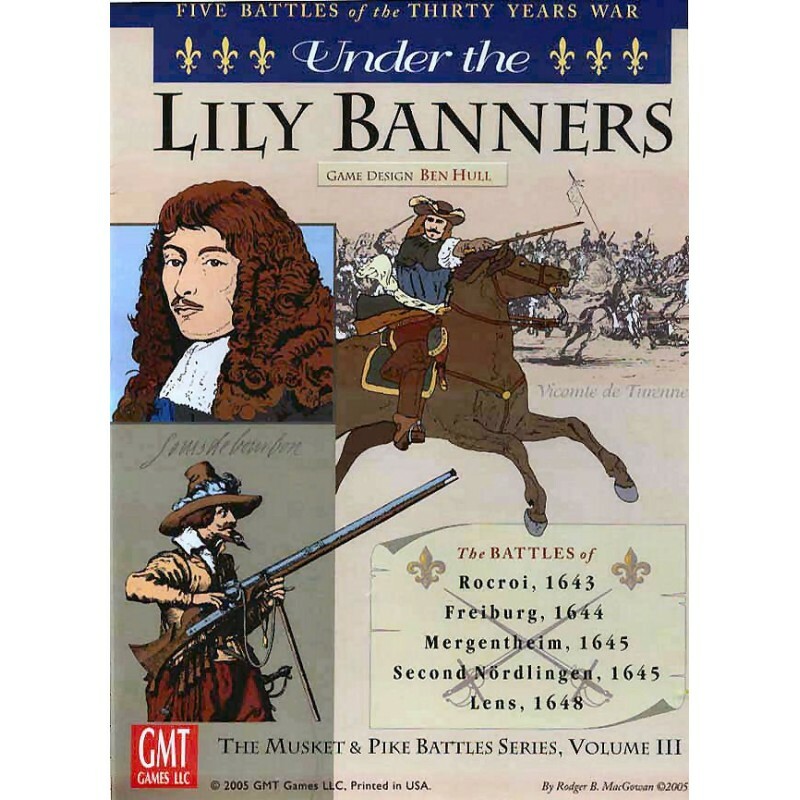 Lens 1648 - The resurgent Spanish under teh Archduke Leopold (brother of the Holy Roman Emperor) pressed into Flanders to recapture the fortress of Lens. With domestic unrest and a military failure in Spain, the French seemed vulnerable. The Grand Conde rushed to the rescue. The Spanish took the high ground, hoping Conde would attack as he had at Alerheim. Instead, he turned and began to retire. A cavalry skirmish with the French rearguard escalated and drew both armies into the action piecemeal. The veteran Spanish tercios smashed the elite gardes francaises, taking their colors as revenge for Rocroi. The French cavalry proved superior and drove off the Spanish horse, leaving the body of infantry isolated on the field where they surrendered en masse. This shattered the last hopes for the Habsburgs, ending their involvement in the Thirty Years War with a defeat.